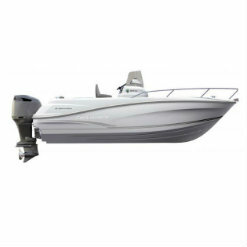 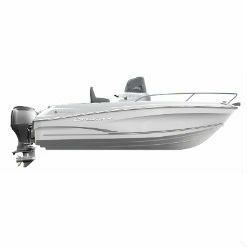 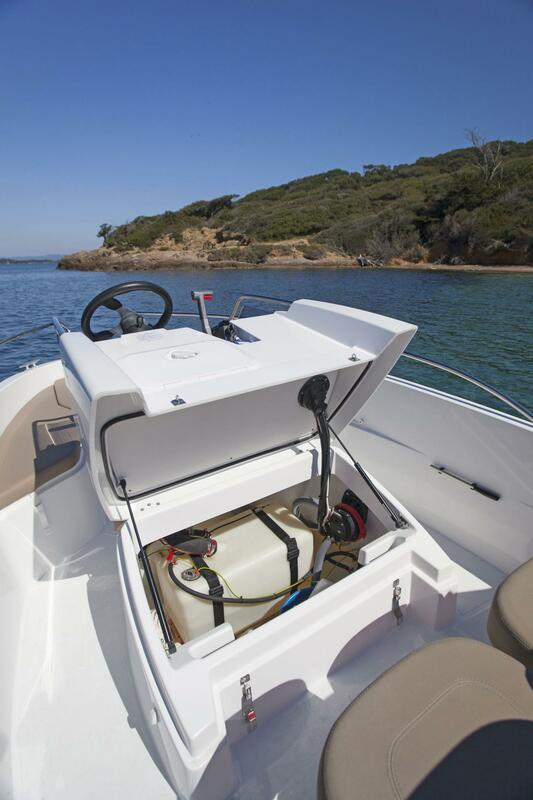 With a 40 or 50 HP engine, she is both fast and fuel efficient, as well as fun to drive. 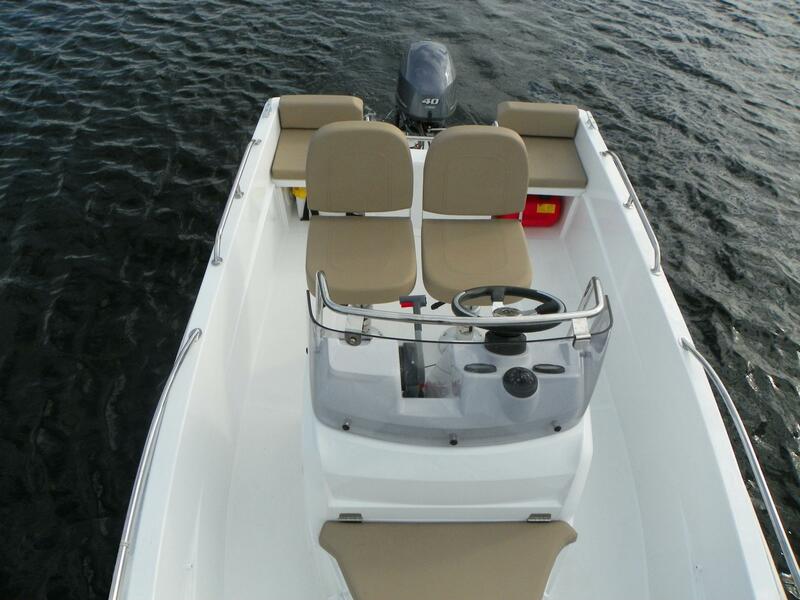 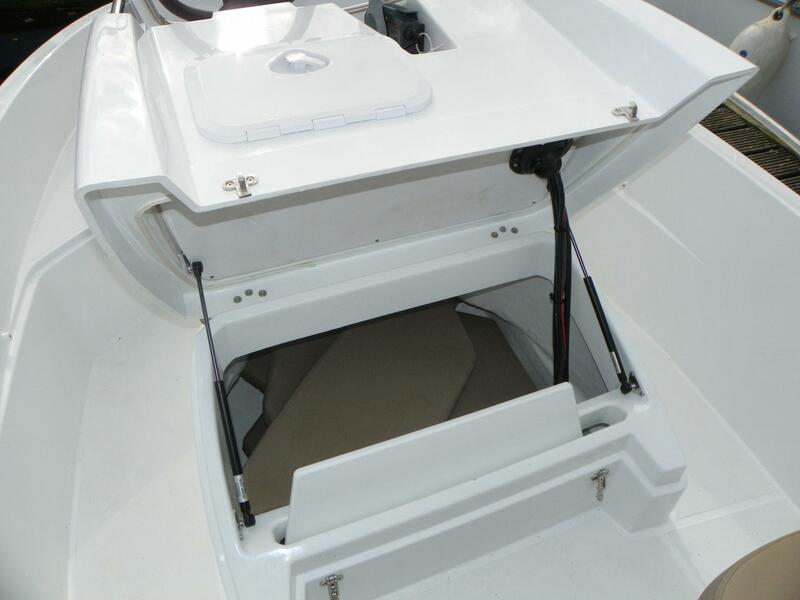 Her stability at a stop and spacious aft cockpit will appeal to fishermen. 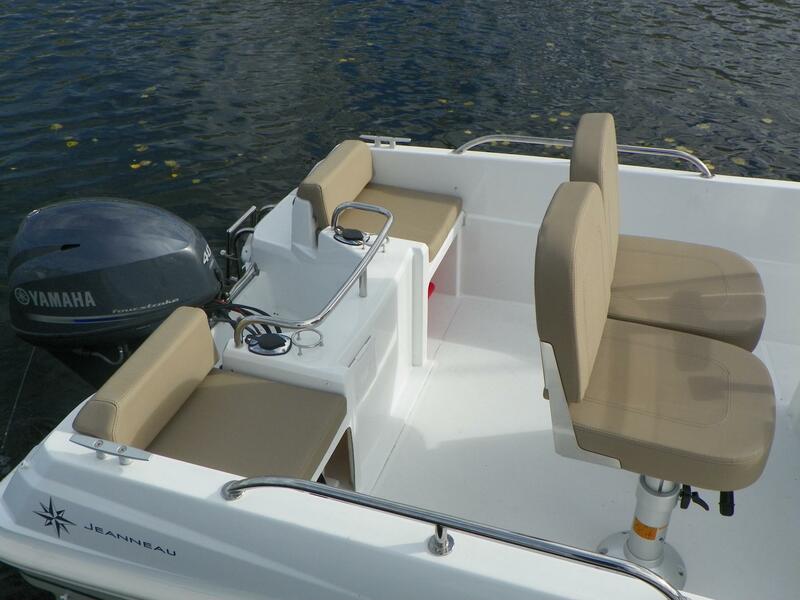 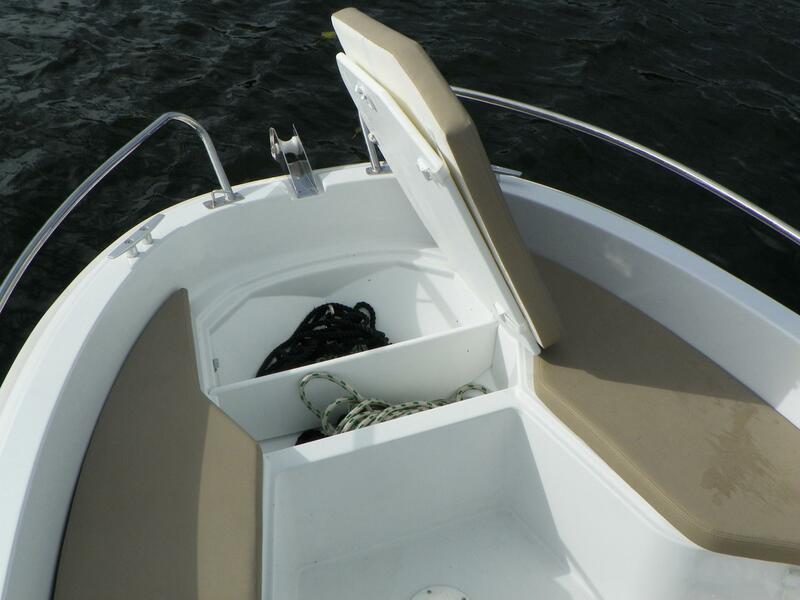 The generously sized forward cockpit can comfortably accommodate your guests around the table for moments of fun and relaxation on board. 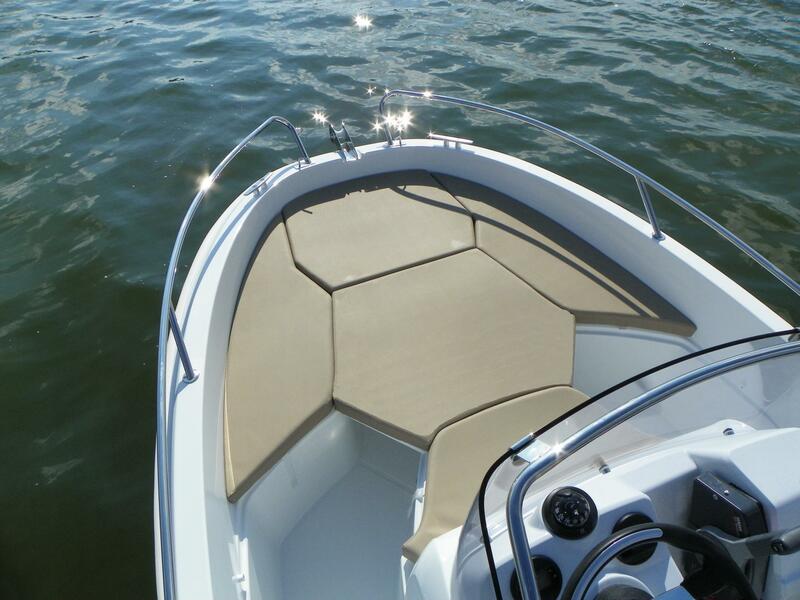 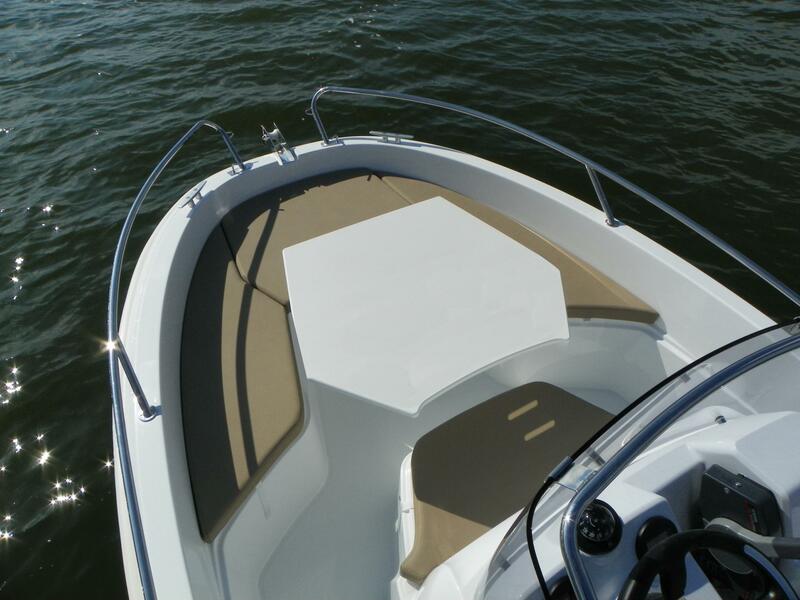 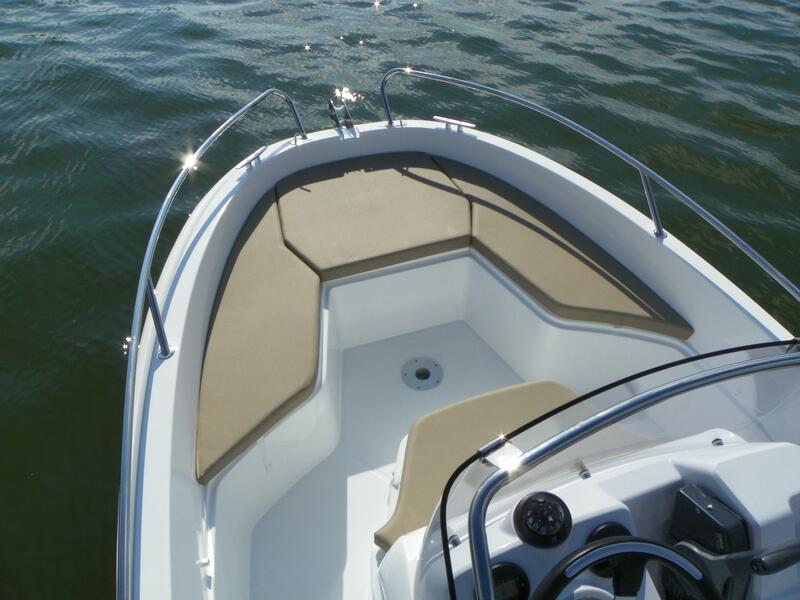 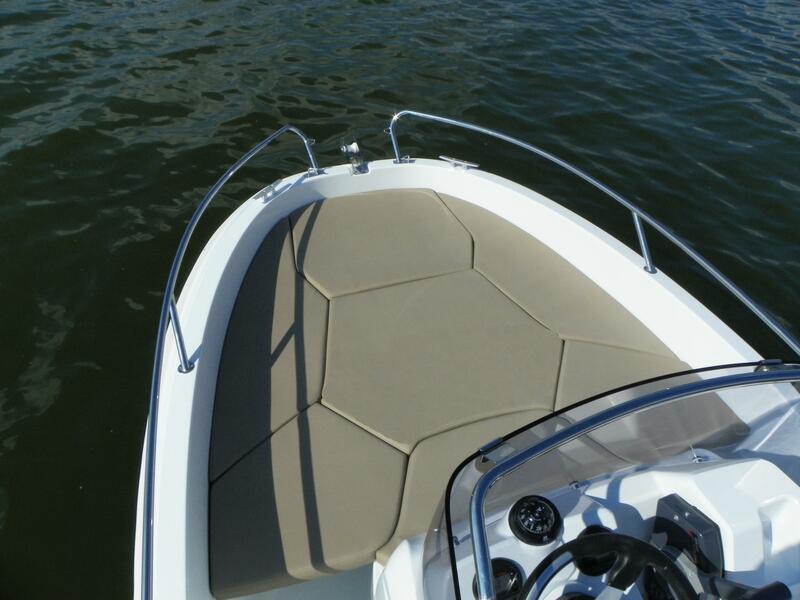 The entire cockpit can be transformed into a large sundeck for maximum enjoyment on sunny days. 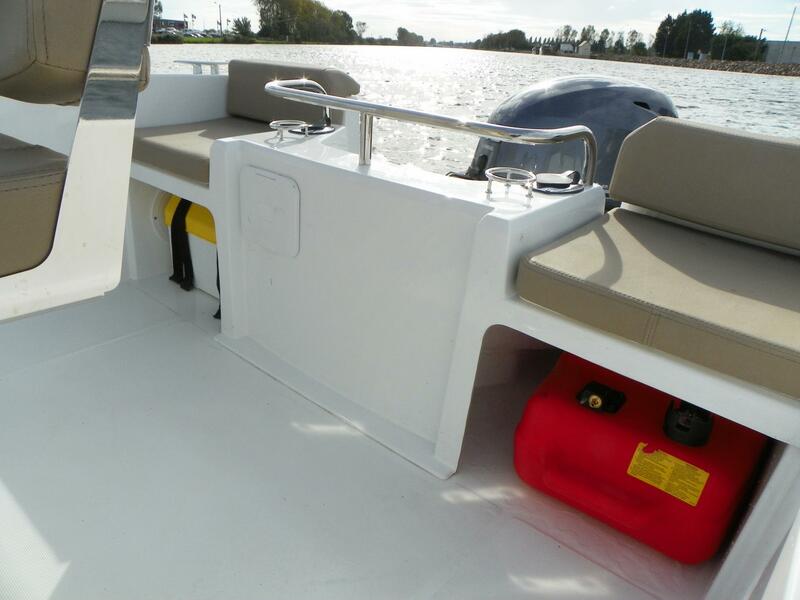 Transport her easily to your home or to discover a new destination by trailer.